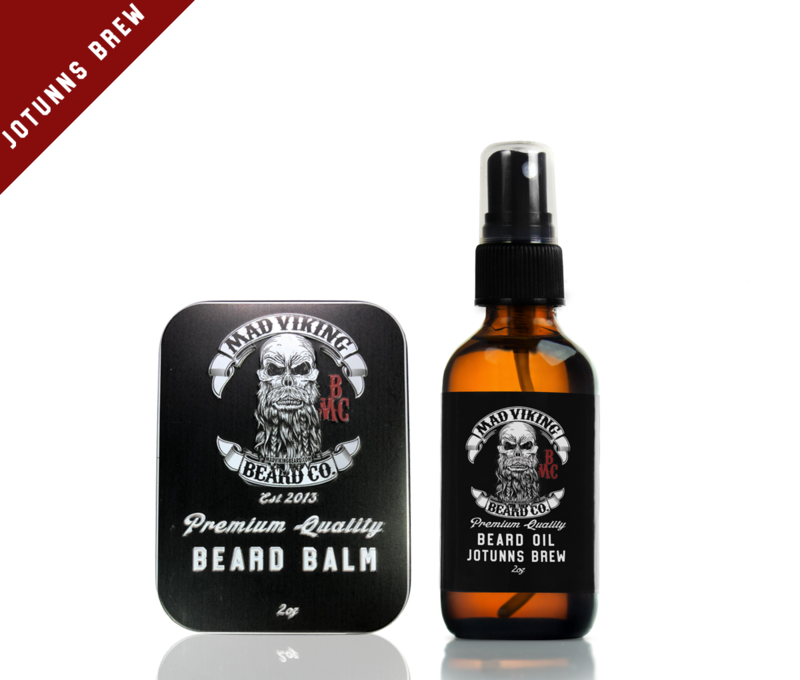 Jötunn's Brew Oil & Balm Combo 2oz - Mad Viking Beard Co.
[yōtən]: In Norse Mythology, a Jötunn was a member of a race of nature spirits with superhuman strength, and were certainly associated as giants and exceedingly beautiful. 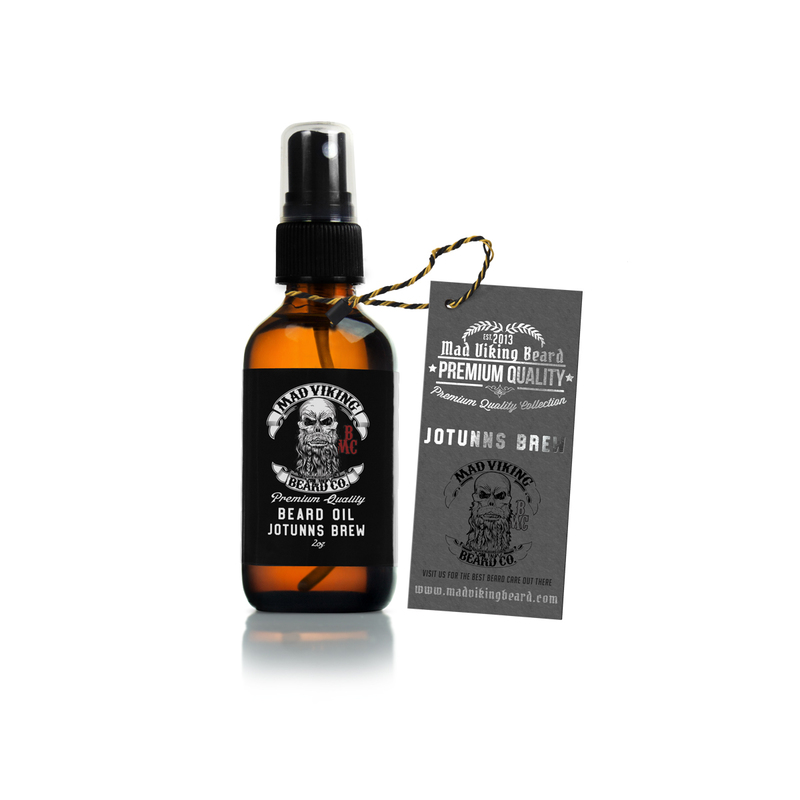 Jötunn’s Brew is a unique blend of essential oils that consists of Benzoin Resin (Styrax tonkinesis), Cardamom oil, Neroli Oil, Sandalwood and Amber Oil. This combination of oils is very earthy and reminiscent of Nag Champa. Be transported to a simpler time, a time of giants, wilderness, and a time of magic with every use. 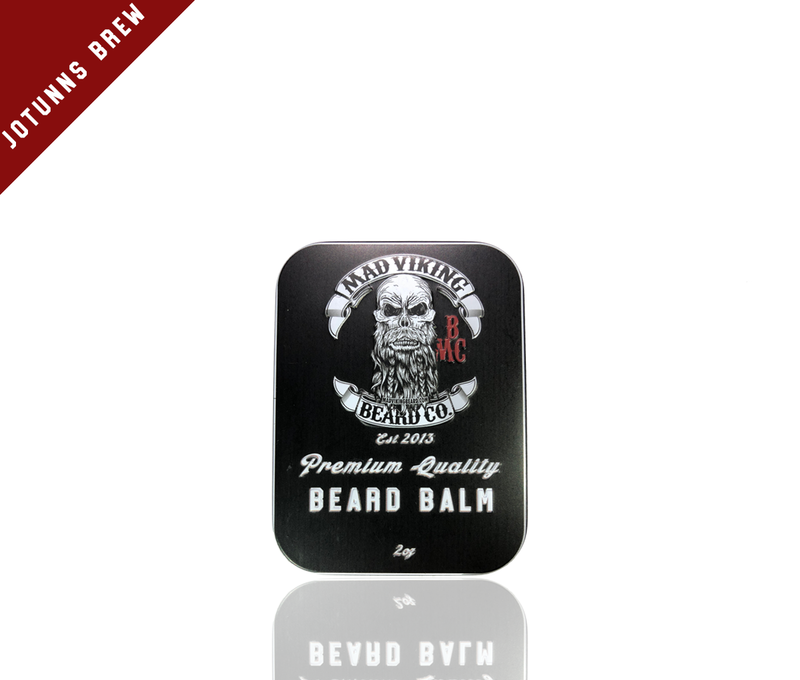 Upgrade to the starter pack and receive a beard wash with your order! !